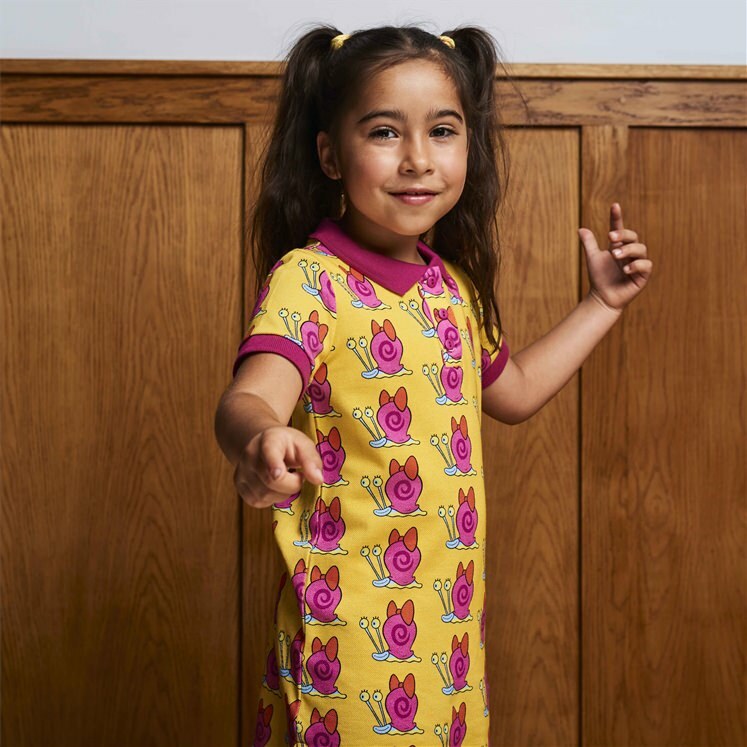 Girls Cotton piqué patterned polo dress. 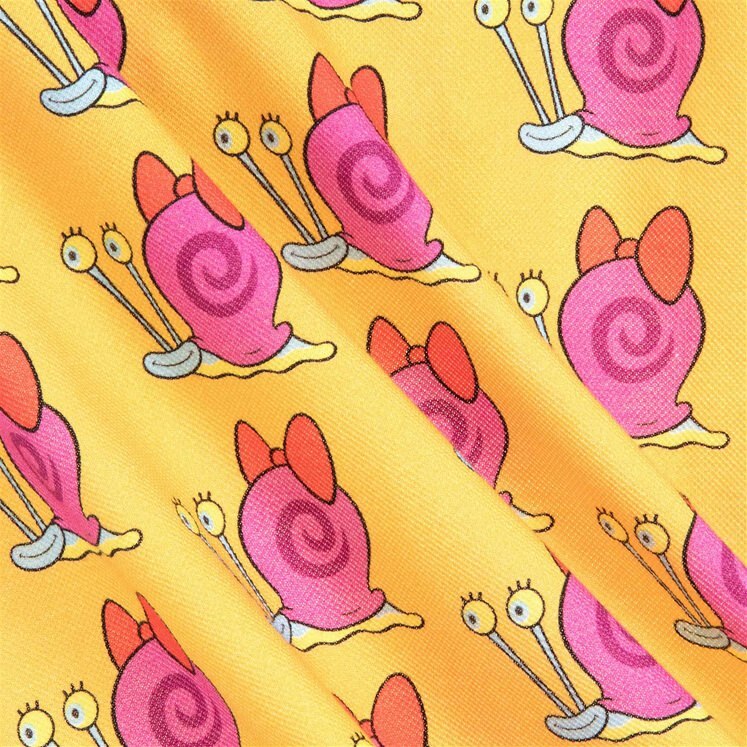 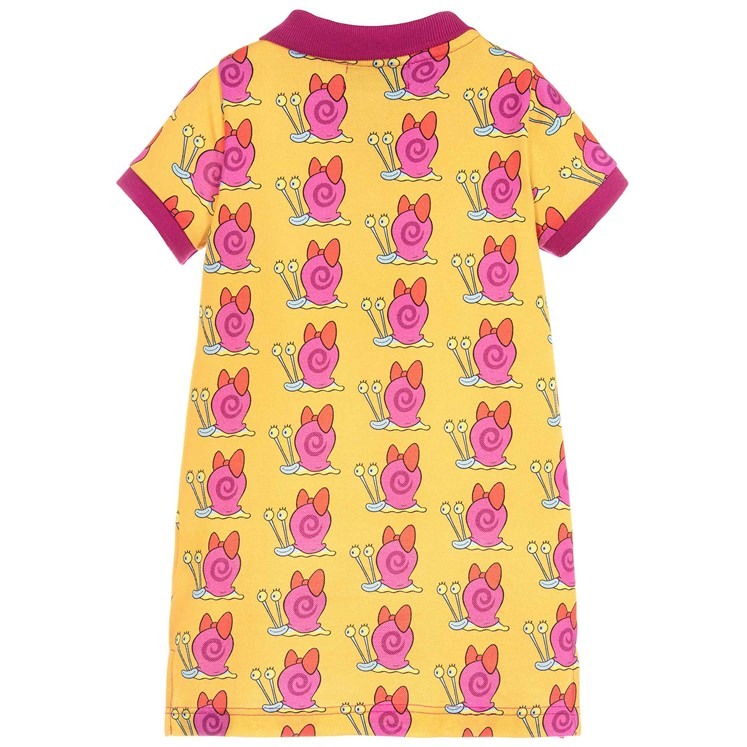 Yellow with a vibrant pink striped design of 'Mary The Snail' and contrasting collar and cuffs. 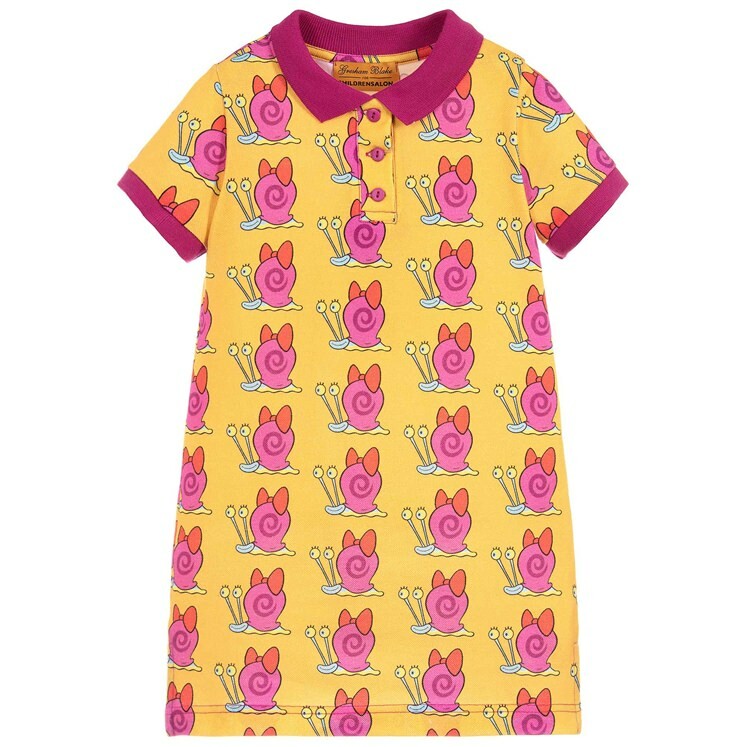 This limited edition polo dress has been designed by Gresham Blake in collaboration with Childrensalon and Nickelodeon.